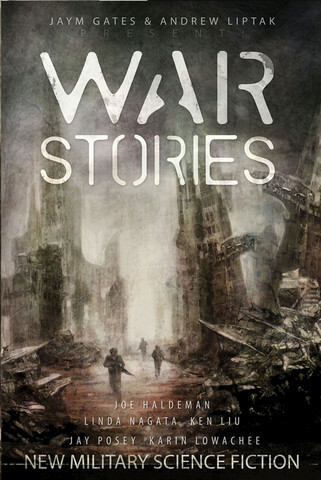 The ebook for WAR STORIES is out now! Go grab it DRM-free over at Apex. My story “The Radio” is in the “Wartime Systems” section of the book. “The Radio” is the story of Kay, a Synthetic soldier made from machine parts and the corpse of a volunteer, who gets left behind after her unit is destroyed in hostile territory. Hope you get the chance to read it! The rest of the book is fantastic, too. If you’d prefer to wait for the print version, those will be out on October 7th. I was thinking today about Wanda from The Sandman. Wanda was one of the first trans characters I ever came across in fiction, but I always felt so sad about how her story ended. I couldn’t travel the moon’s road, you said. I wasn’t woman enough for those old rules. As the walls shake and the skies open. And a ghost to endure as your story fades? When I’m gone she’ll dream me pretty. She’ll remember me reborn, acceptable, new. I’d rather have my own breath than beauty. I have my own magic, ancient witch. Across lands wilder than any you can know. And moonlit hair falling on my shoulders. Our magic brings the tide in. In letters no storm will ever wash away. I’ve got a new short story up at Strange Horizons today! And thus endeth the long, no-fiction-being-published drought. Whew. Some notes on the story, if you’re interested in that sort of thing: It came from a dream that wouldn’t leave me alone. Basically, it’s the first dream Sarah has, with a few changes. I’ve written a couple things dealing with my own (rather voluntary) infertility; this is one, the forthcoming book SEEKER STAR is the second. The setting is similar to my old hometown. I don’t usually do that; but this story wanted to be close to home. Yeah, it’s focused on trans stuff. Again, this story landed so near that I can see the impact crater from where I sit. I wrote the first draft of this story in less than 12 hours. I’ve found that the good ones are like that; they won’t let me sleep till I finish them! I was thrilled when Strange Horizons accepted it (after a rewrite). I’ve actually got quite a bit of short fiction coming out. At least one more during the summer, probably two. Then another late in the year, or early in 2015. Take that, novels! The Table of Contents for the forthcoming WAR STORIES anthology from Apex is out! This means the book’s getting closer to publication, which is totally exciting. Mine’s the third story, in the “Systems” section. I like the way the sections are broken down into “Systems,” “Combat,” “Armored,” and “Aftermath.” I’m especially looking forward to that last section. This is going to be a fun anthology, I hope everyone checks it out when it’s released!